we have THE APPETIZER with us! Spray a small, oven proof shallow dish. Whip together the 2 cheeses (room temperature is easier), form in to a ball and refrigerate for at least 10 minutes or up to several days covered. To prepare to serve – Pour Cannizzaro Marinara into dish. 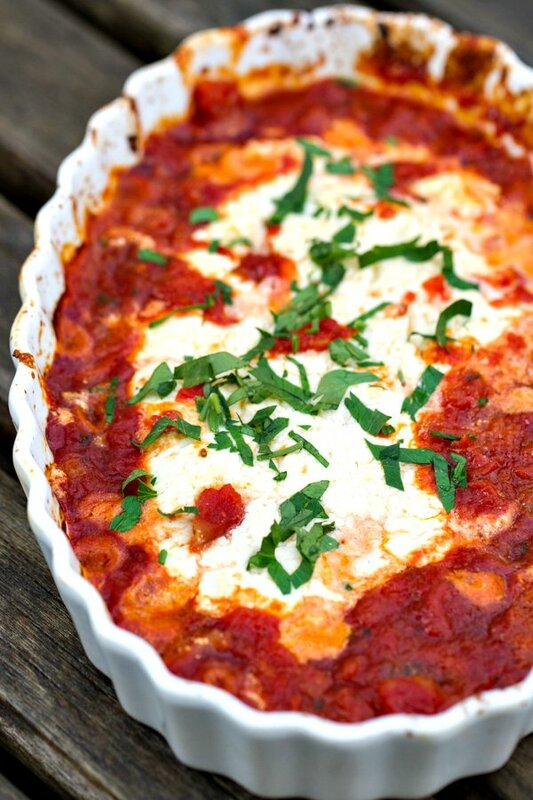 Place your ball of cheese mixture in the center of the Marinara. Bake at 400̊ for 10-15 minutes, or until sauce is bubbly. While it bakes, cut your bread lengthwise and spray lightly with Olive Oil. Cut in to triangle shaped pieces (big enough to dip!) and lightly toast in oven. Place the toast points around the edge of your dip and serve – making sure you get that hot, melty cheese & lots of sauce on each bite!